Cavalia's horse training is based upon a philosophy of understanding horses, rather than making horses understand the humans around them. Cavalia celebrates the relationship between humans + horses. 49 magnificent horses + 37 riders, aerialists, acrobats, dancers + musicians from all over the world perform in front of a constantly changing 200 foot wide digital background that draws spectators into dream-like virtual environments. 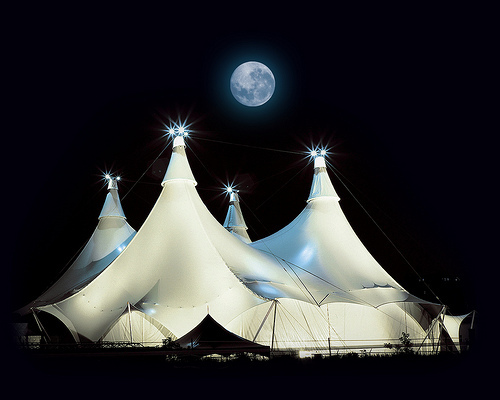 Cavalia's white big top tent is 26,264-square-foot area + 110 feet high to give the horses space to gallop at full speed, at times running free.